We’ve just the one product (at least for now) – that’s excluding accessories – but there’s plenty to tell you as SpaceGrill is truly like no other barbecue or grill you’ve ever seen. 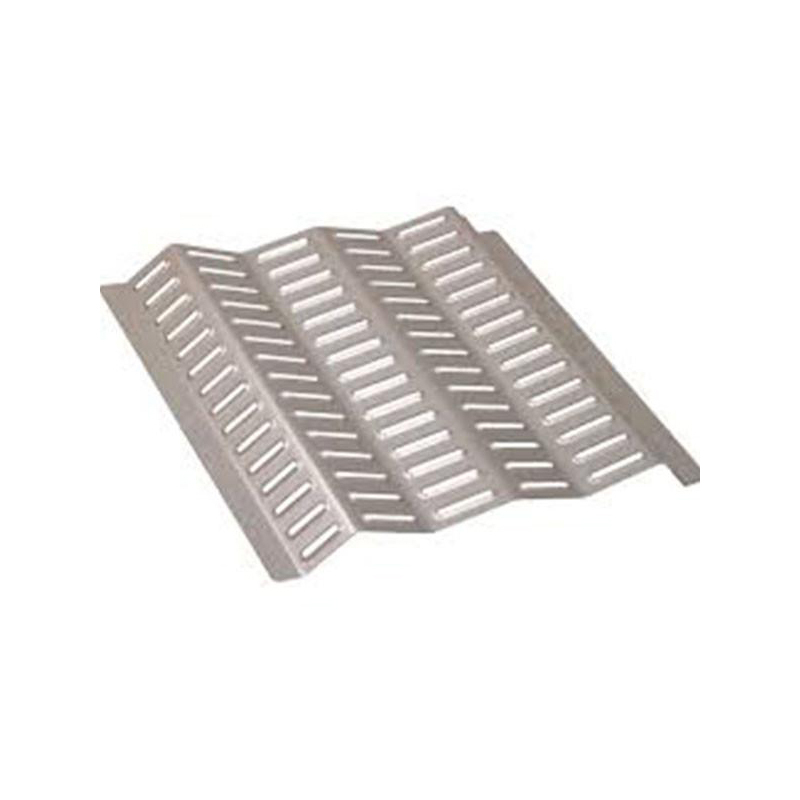 Thanks to our patented fold down design, SpaceGrill has unrivalled space saving credentials. 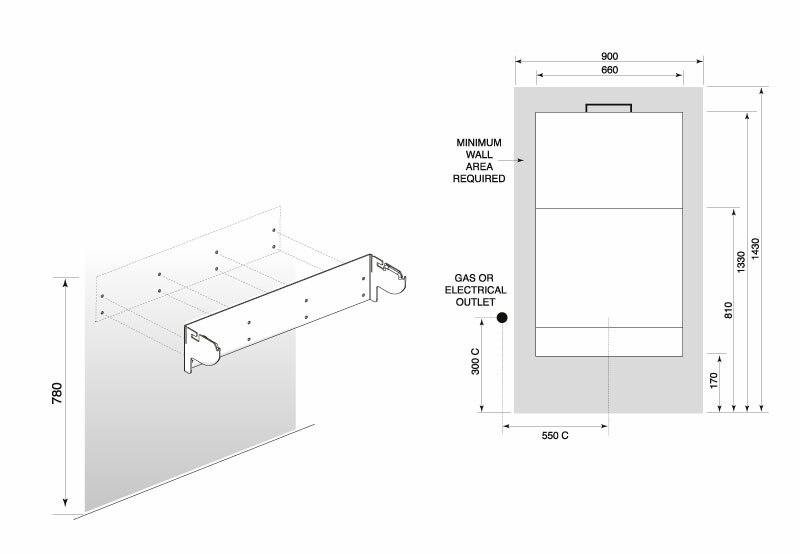 When stored down after use SpaceGrill takes up almost 70% less space than in cooking mode, protruding a mere 20cm from where it is mounted – be it a wall, other vertical load bearing structure or our portable stand. 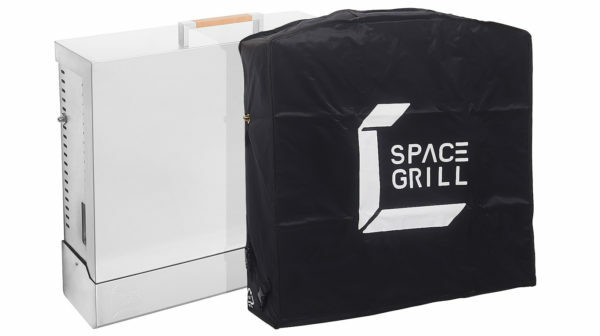 So when not required, SpaceGrill occupies very little – if any – usable space. When expanded out into cooking mode, SpaceGrill provides what we term a “full sized” cooking area, which measures 640mm x 480mm. And with this much space, it’s is not only suitable for family entertaining, but can easily cope when called on to cater for larger gatherings. 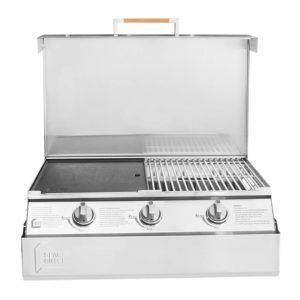 The cooking area itself consists of two parts, making it very versatile: a chef-grade stainless steel grill plus a ceramic coated cast iron reversible hotplate – ridged on one side and flat on the other: perfect for searing, sautéing and much, much more, including delicate foods you’d not entertain cooking on the grill section. Think relaxed outdoor brunches or breakfasts – eggs sunny side up, sausages, bacon, and hash browns. So that you’re ready to start cooking as quickly as possible, SpaceGrill comes completely assembled and is effortless to install. 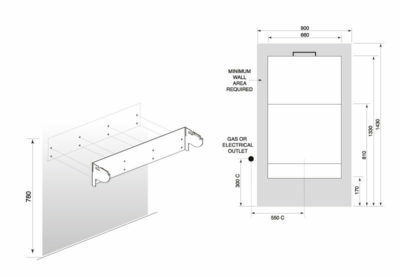 All you need to do is screw the mounting bracket to a suitable location on a wall or other vertical load bearing structure (see diagram). 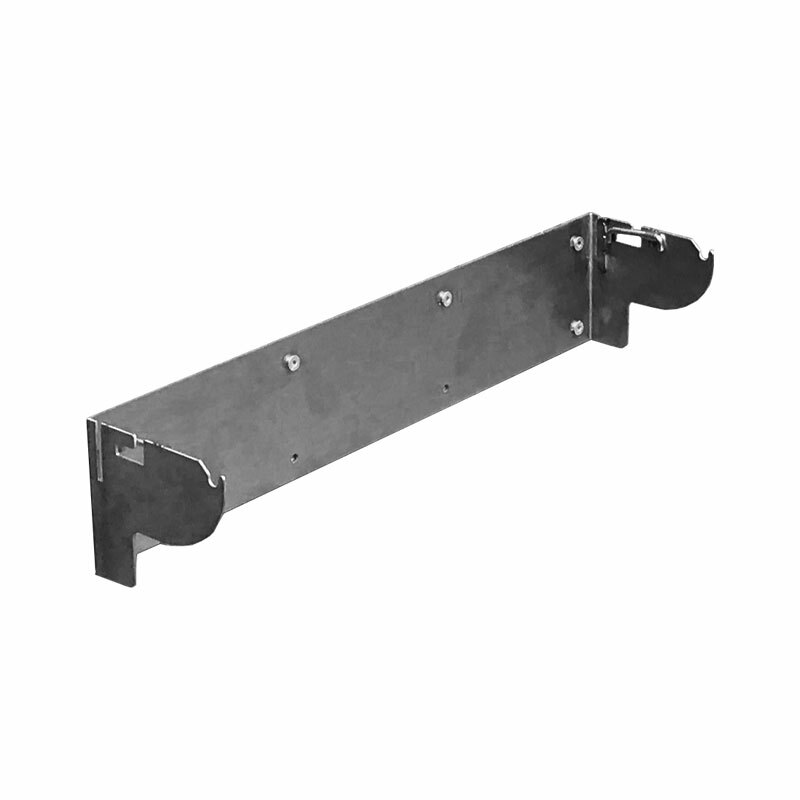 Once the bracket is in place, just lift SpaceGrill onto the bracket, lock it and you’re ready to go. No sweat, no tears. Just take a look. SpaceGrill is just as easy to move: simply unlock and lift off. Being so compact, little space is required if you want to store SpaceGrill inside for the winter months. 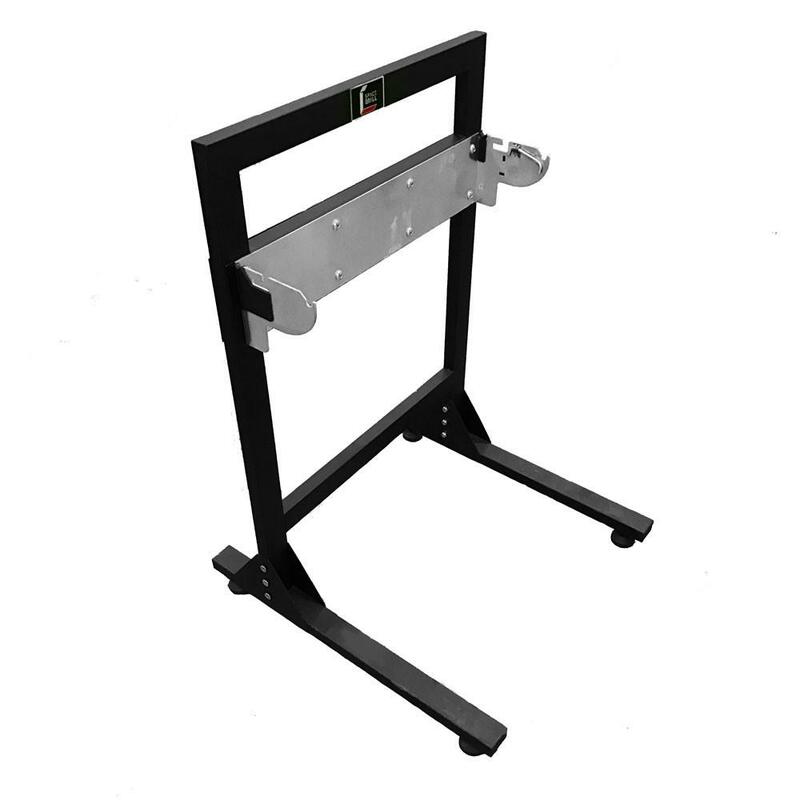 Additional brackets are available if you’d like to mount your SpaceGrill at another location, say a second home, as well as a portable stand if load bearing walls or structures are not available or suitably located – or if you just want some flexibility in terms of where you cook. Central to SpaceGrill’s design is a patented pivot mechanism within the mounting bracket that ensures it has a modest 15kg pivot weight. That’s despite SpaceGrill itself weighing a reassuring 35kg. The ceramic coated cast iron hotplate does weigh a bit, so removing that and the grill section lightens the load still further. 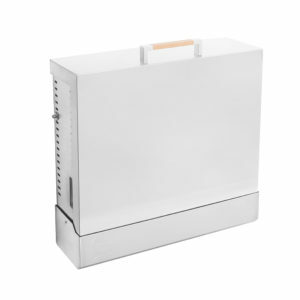 Aided by recessed handles on both sides, SpaceGrill is easily raised into cooking mode, a locking device being activated when lifted slightly above the horizontal and pushed inwards. 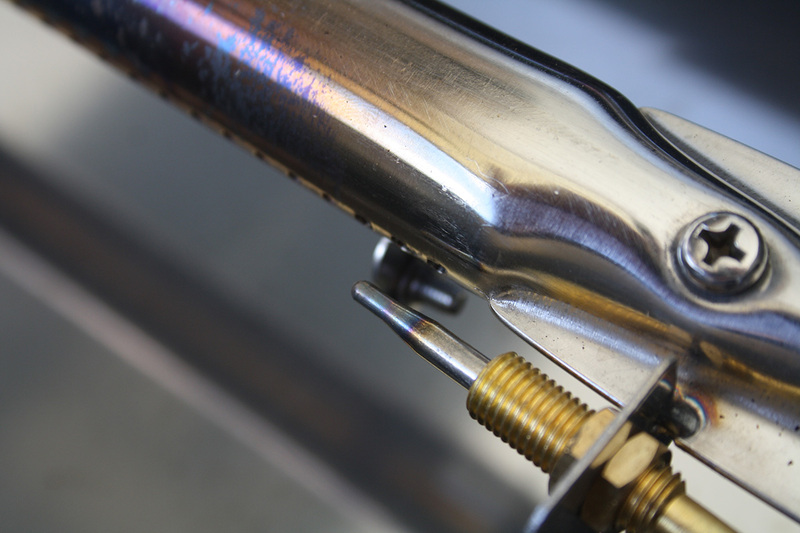 And the lock is deactivated by lifting slightly and pulling outwards, allowing it to then be returned to the vertical storage position after cooking. 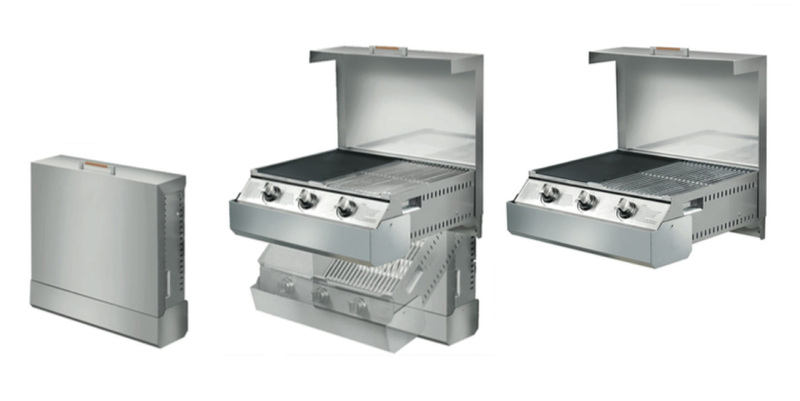 SpaceGrill is powered by three high performance stainless steel burners individually ignited by Piezoelectric crystal. The combined output rating of 10.5kW ensures plenty of fire power, with even heat distribution thanks to the separately controlled burners. 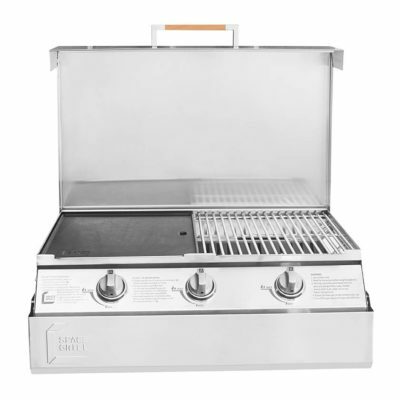 Designed as a dual fuel gas barbecue, the current factory issue SpaceGrill operates off bottled liquid petroleum gas (with a propane gas valve provided), with feeds on both side of the unit providing flexibility when deciding where to locate the gas bottle. 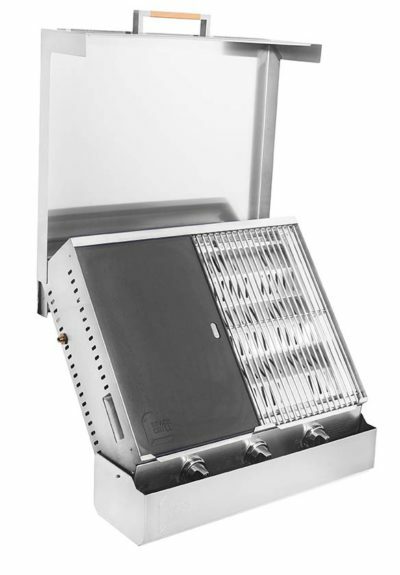 SpaceGrill can be converted to natural gas, so is then able to operate off mains gas, while a stainless steel charcoal tray is available as an accessory, allowing you to grill over embers when time permits. 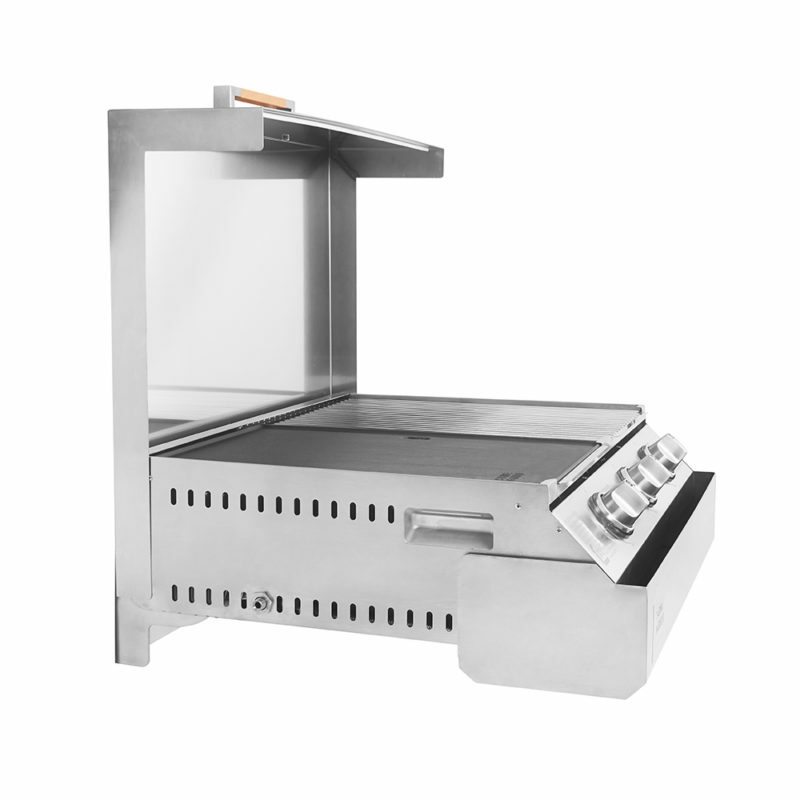 SpaceGrill combines various safety features to provide complete peace of mind. The inclusion of thermocouple valves in the latest model means that gas supply will cut off if the flame is extinguished by the elements. In some countries this means SpaceGrill is even safe and legal for indoor use (see our FAQs for further discussion about this feature). 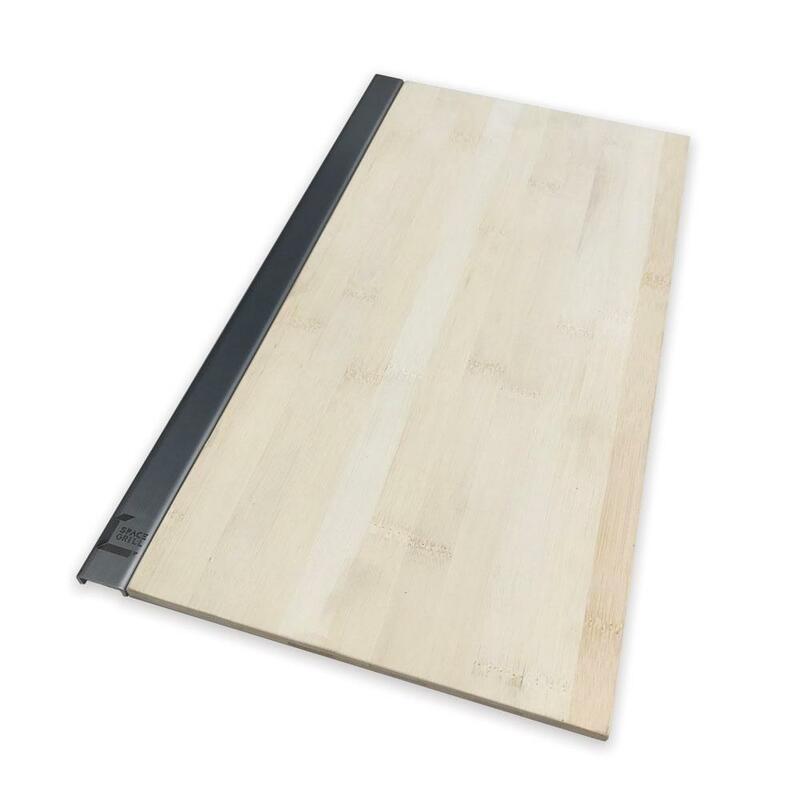 While the splashback prevents cooking residue or splashes marking the rear wall, it has also been designed and vigorously tested to ensure there is no heat transference from SpaceGrill to the wall or any other suitable load bearing structure that it might be mounted to. The splashback converts back to a lid cover after use, neatly enclosing SpaceGrill when folded down against the wall in storage mode. An Oxford cloth cover is also provided, offering still further protection from the elements.  SpaceGrill’s body is made from a high grade stainless steel (443). 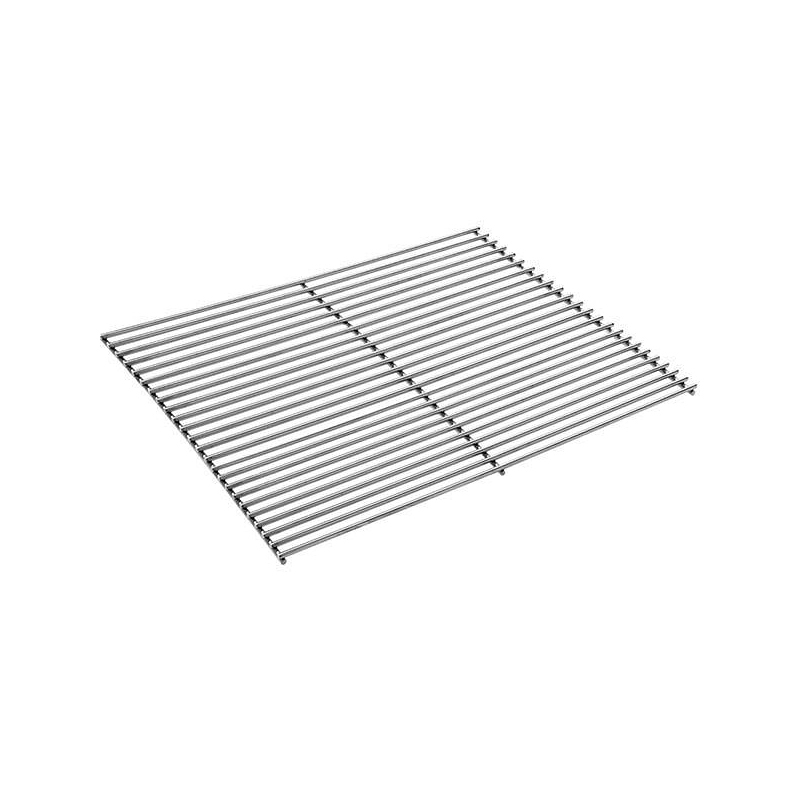 As well as being very resistant to both moisture and salt, it also contracts and expands less than the more standard 304 stainless steel, ensuring SpaceGrill’s durability and resistance to the elements. And that’s why we offer an extended 10 year warranty. 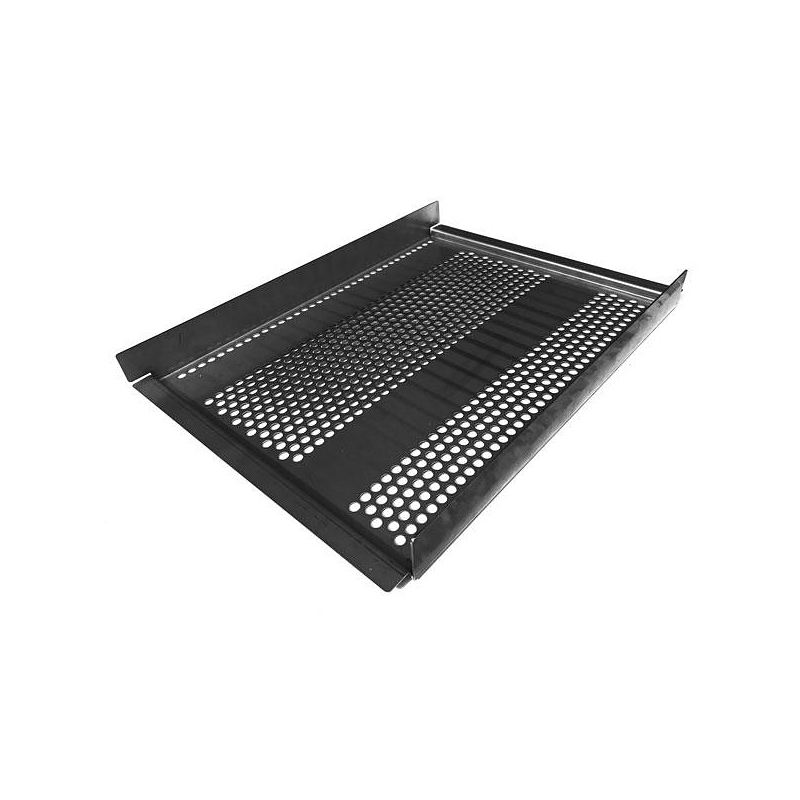 SpaceGrill’s patented internal drip system is designed to capture any run off in a detachable tray. 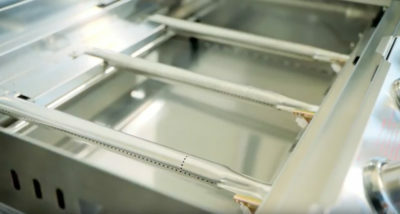 The tray pivots as the angle of SpaceGrill changes, ensuring run off is collected in every position from horizontal cooking mode right through to its vertical storage position. This feature is a real asset when cleaning. 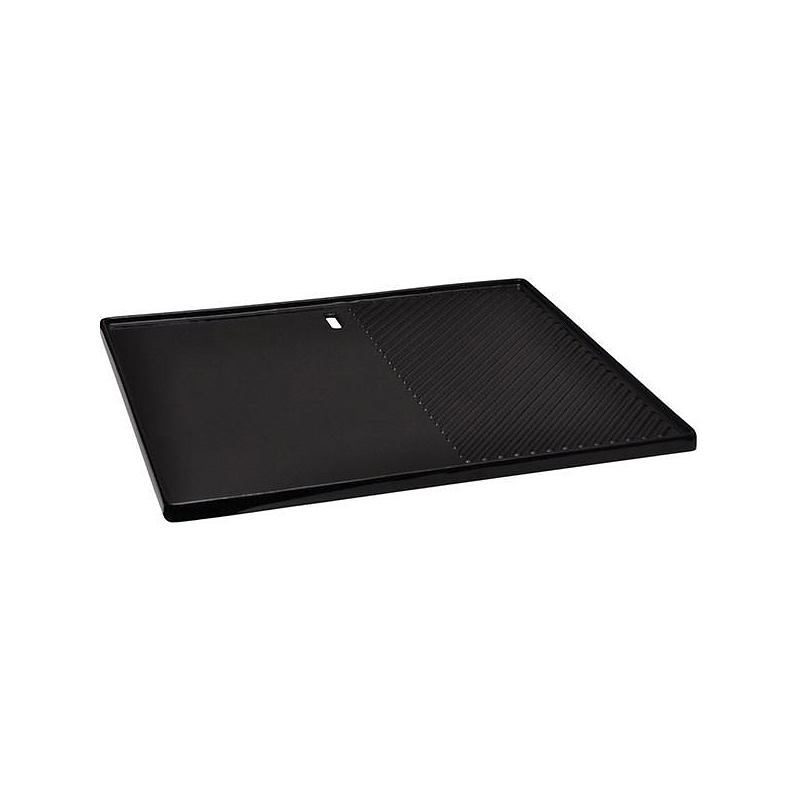 As the tray is detachable, cooking and cleaning run off is easily disposed of, also making it simple to wipe down the tray or take inside for washing. Last, but not least, once the ceramic coated cast iron hotplate and chef-grade grill have been removed, the shallow cookbox is very simple to wipe down, with the comfort that any washing up run off will simply collect in the detachable tray. And if something’s easy to clean, you’ll use it much more! Now every person likes to accessorise a little differently and over time our range of accessories will grow so that everybody can add some individual touches. 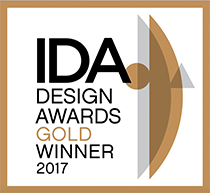 At this stage we’ve focused on those accessories we felt were a priority – in addition to those that are simply spares or replacements. We’ve further accessories in development and are always brainstorming new ideas, so there will be others on their way. We do pride ourselves on being good listeners, so do tell us if there’s any accessory you’re really keen to have and we’ll see what we can do. SpaceGrill provides secure online payments. You can pay with following methods.